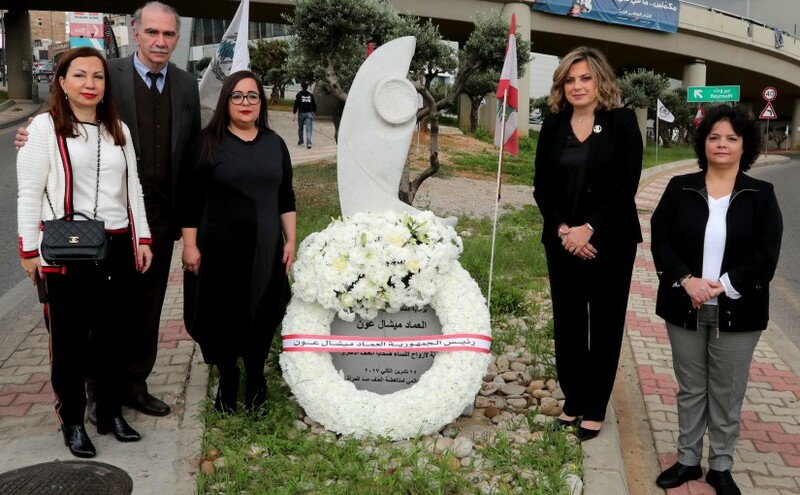 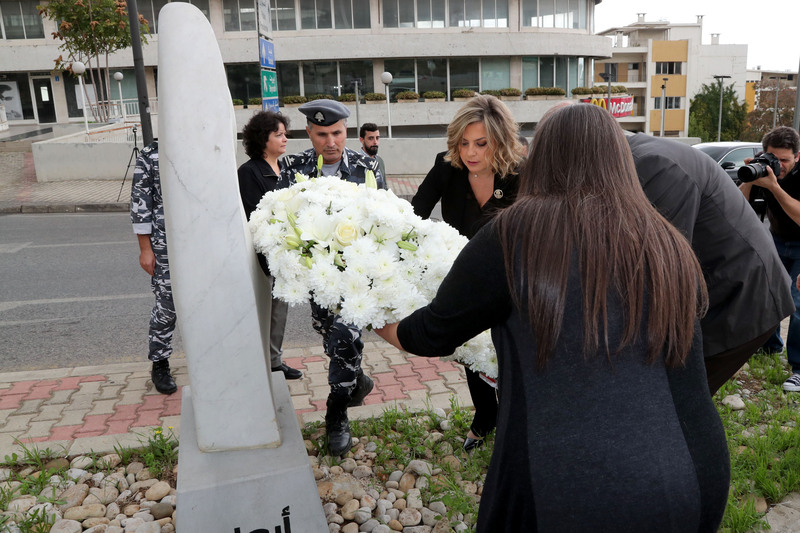 The Lebanese National Women’s Commission placed a wreath on the women’s monument in Baabda. 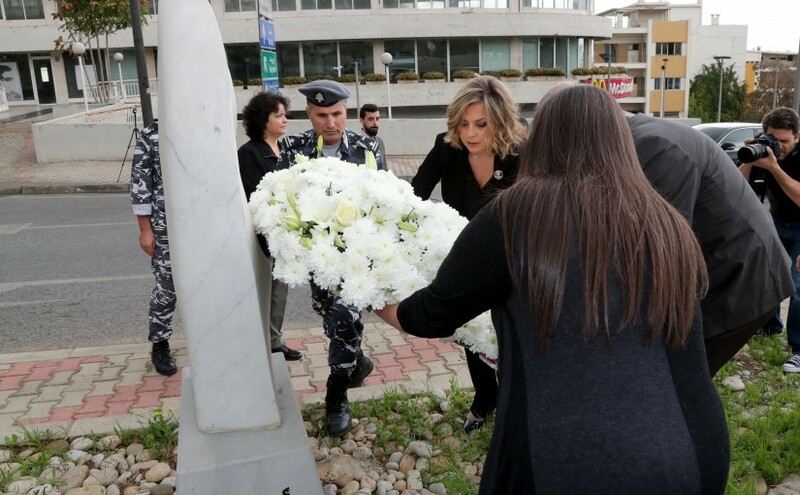 Mrs.Claudine Aoun Roukoz. 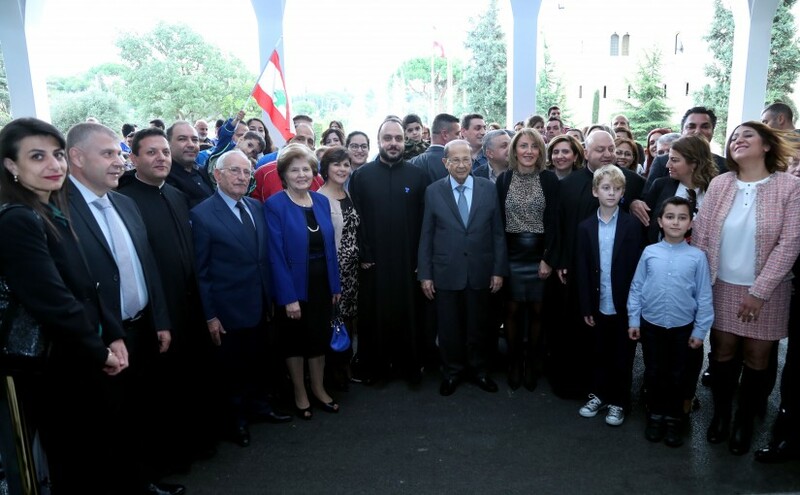 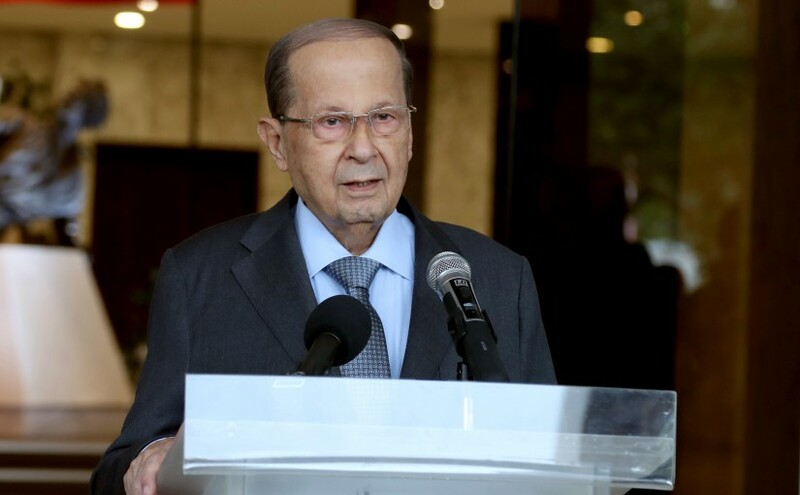 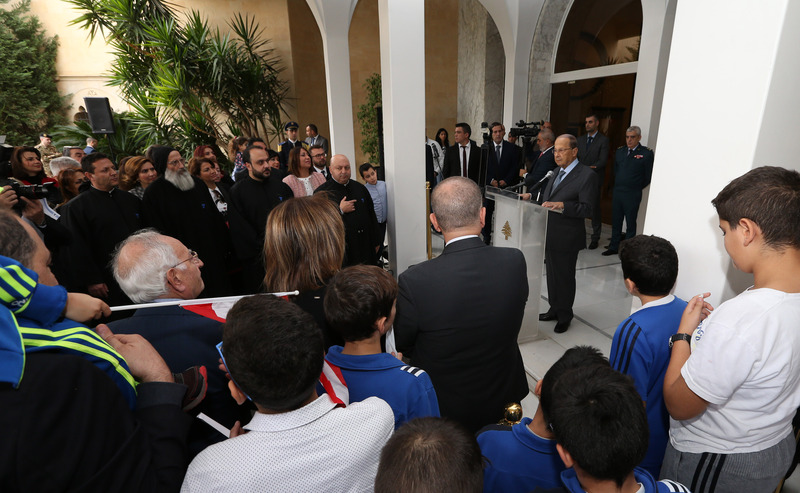 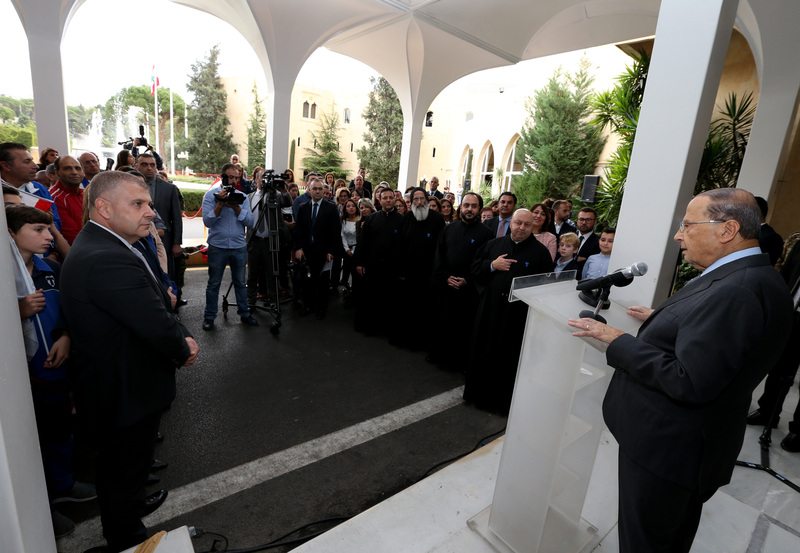 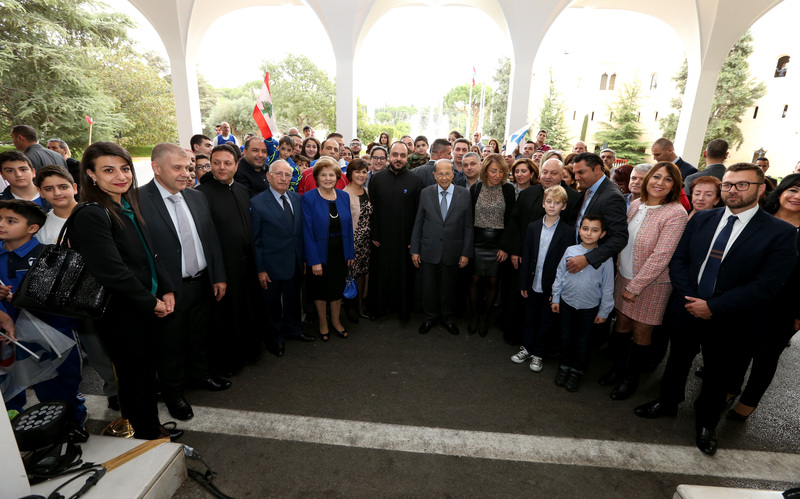 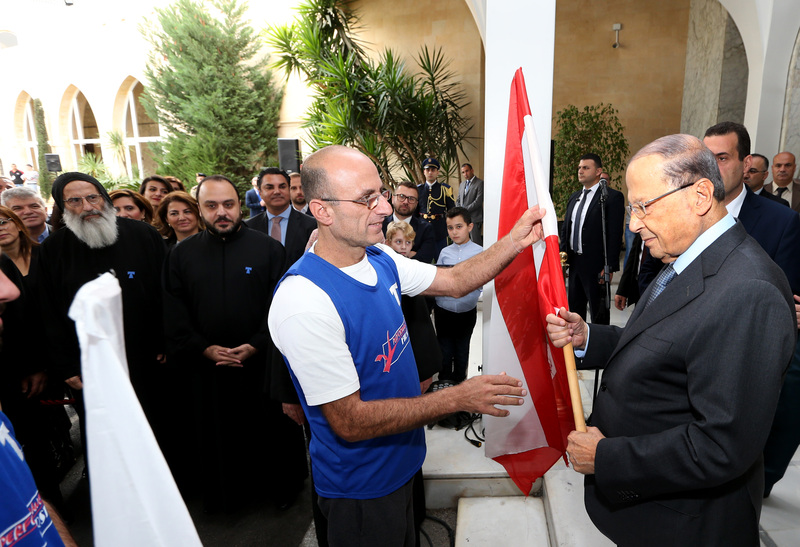 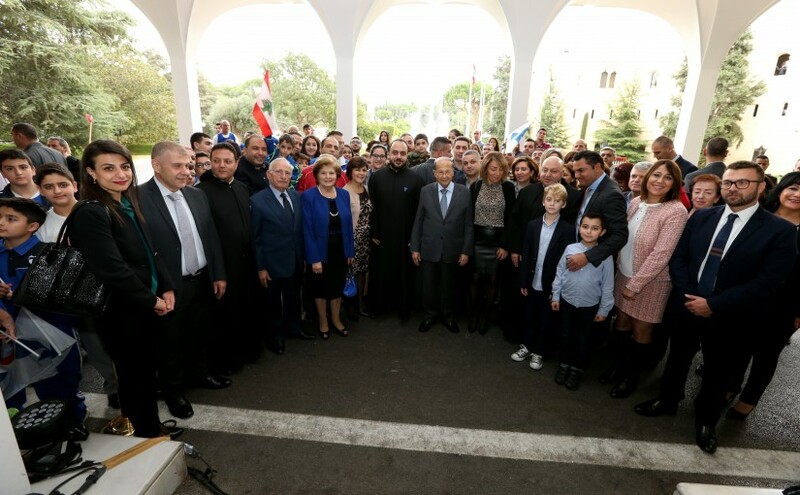 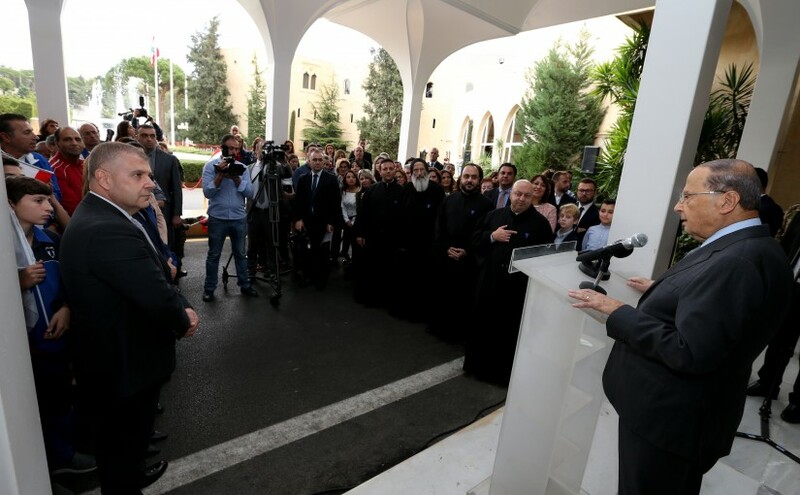 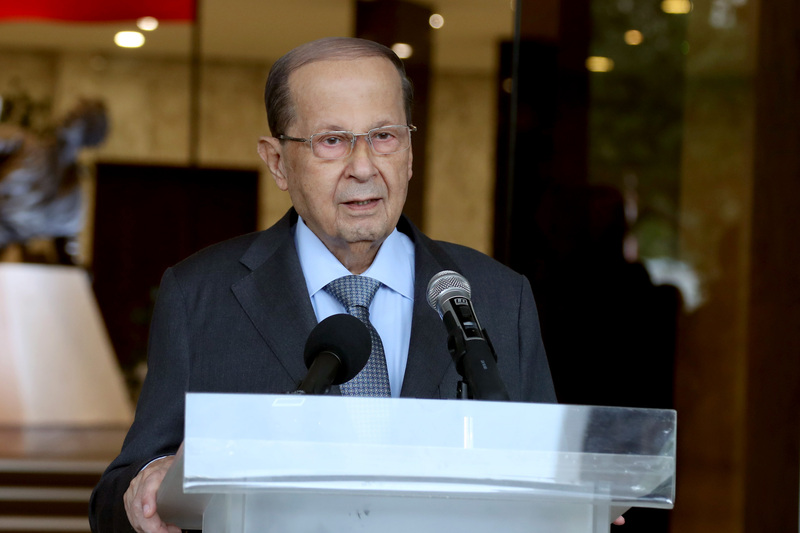 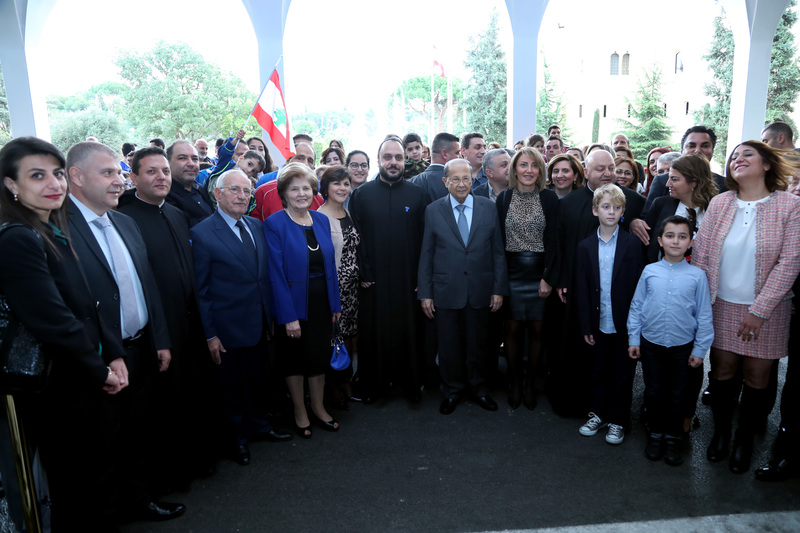 President Michel Aoun meets Father Georges Sadaka with a delegation from the closing ceremony of the annual Independence Day race. 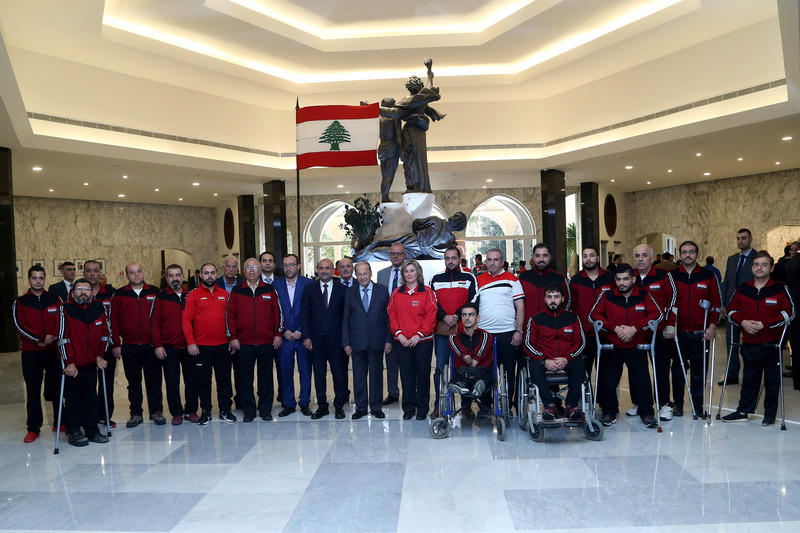 President Michel Aoun meets MP Simon Abi Ranmia with a Delegation from the third sports festival participants (Special needs).Jordan. 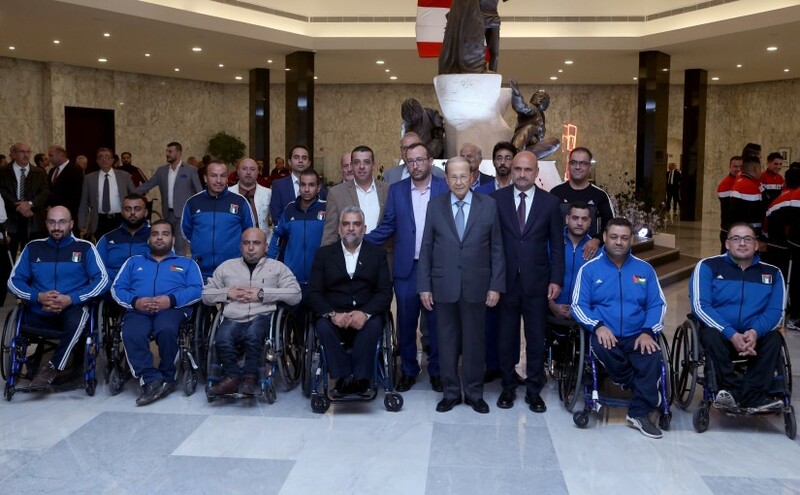 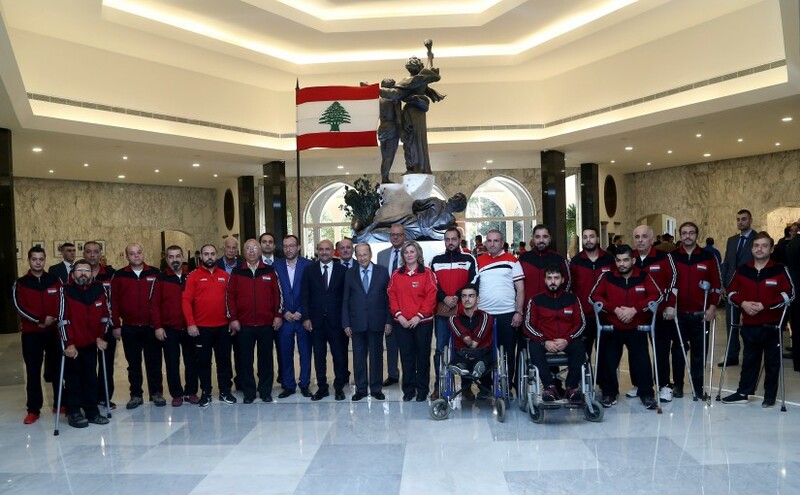 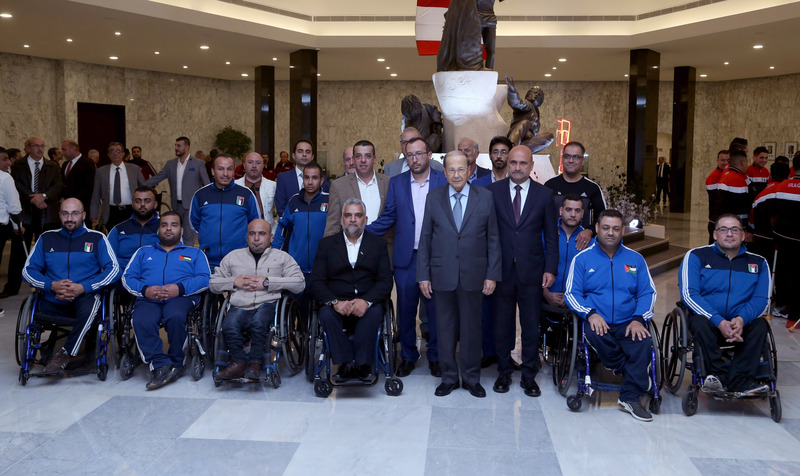 President Michel Aoun meets MP Simon Abi Ranmia with a Delegation from the third sports festival participants (Special needs).Syria.